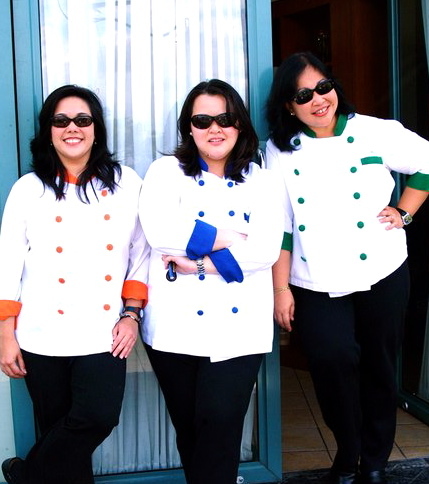 I was one of three partners of a cooking school in the Alabang area, known as Cooking Basics Culinary Studio. We were located at the Vivere Suites. It’s been almost 7 years ( I still can’t believe how time flies, sheeesh!) since we hung up our aprons and we all decided to venture out on our own. 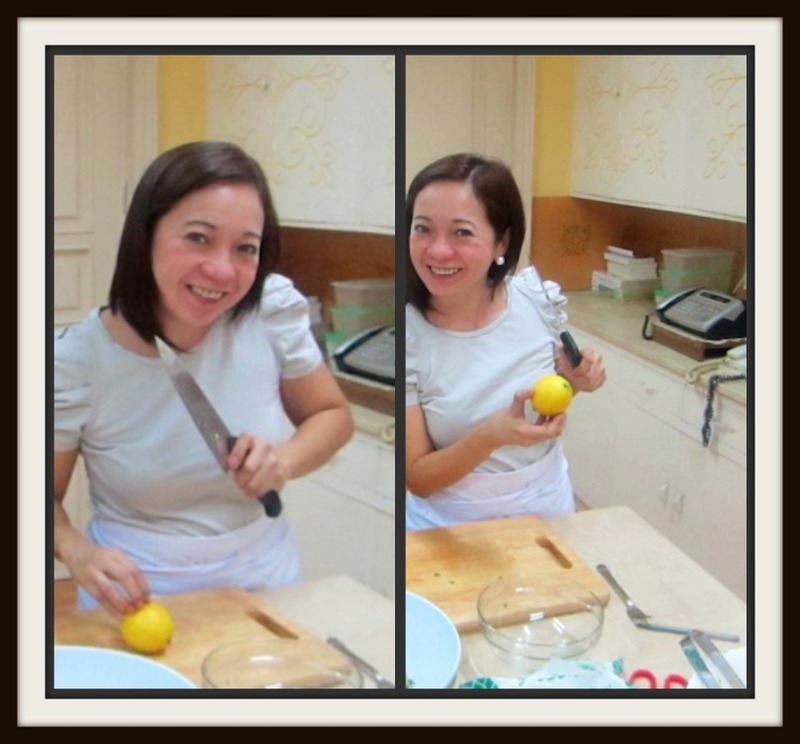 I truly enjoyed teaching and imparting a “part of myself” to help develop a student’s craft or passion for cooking. To be honest, I do miss it. I even look for……. or should I say, long for the tedious task of developing recipes for food companies, doing mall gigs, tv guestings, staying up late, getting up early and trying to meet deadlines etc. I had a blast and I thank the Lord for allowing me to experience this! It was truly a Blessing! Ok….. This is a photo taken ages ago! Thanks for the photo Mel! Looking at this brings back so many fond memories!! “Les Porkchops” 😀 I miss you gals! 😥 ok.. ok… I’d better stop, or I’ll end up crying! hahahahhahahah!!! 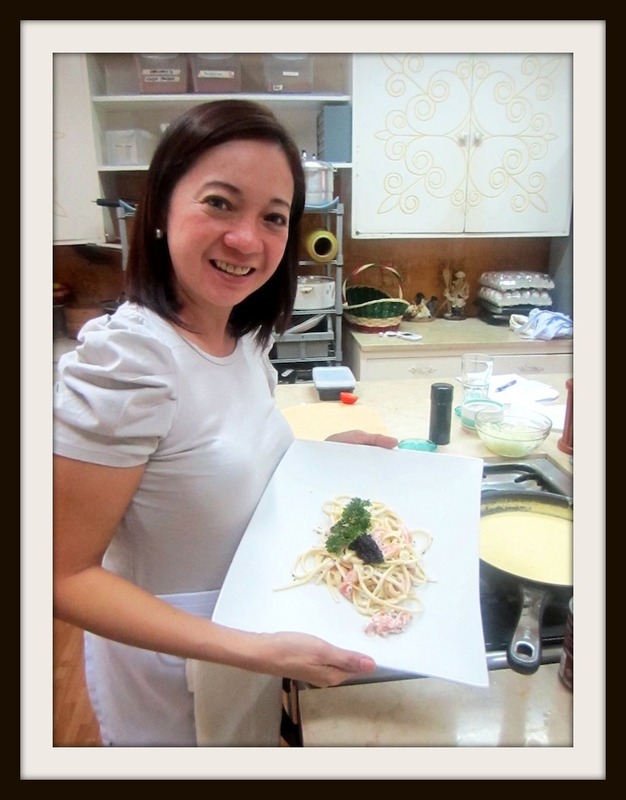 Last Monday, I had a private cooking lesson with Pinky Rojas and came up with a special module for her. Yes! You and I can “sit down” or correspond via email and discuss what it is you want to learn. 😀 Pinky decided on a PASTA 101 class. 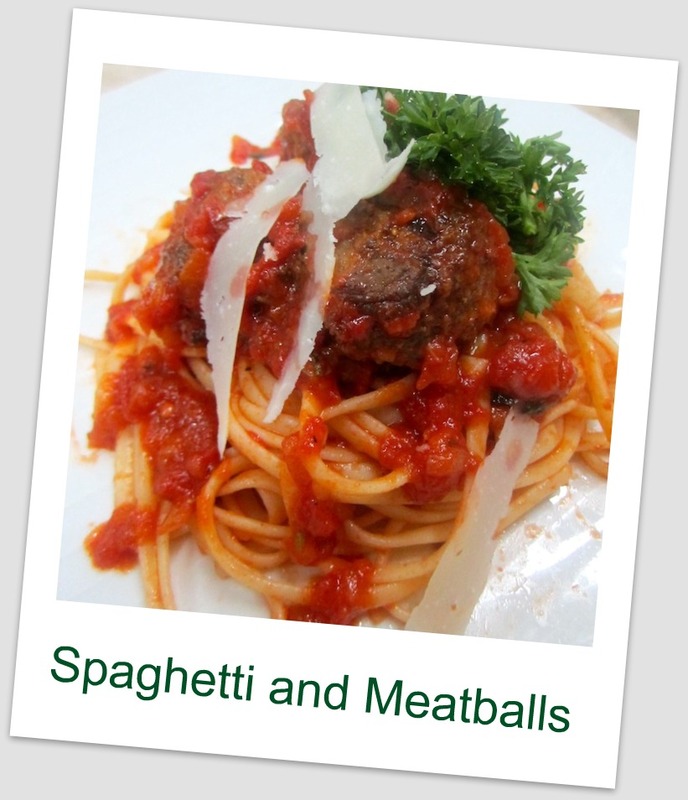 The menu comprised of…. Ah! 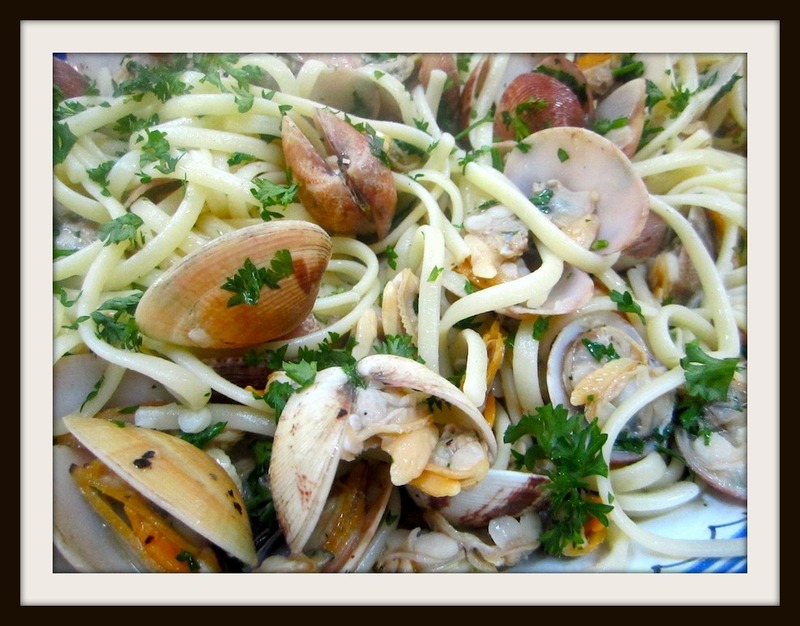 our Cooking Basics days…..now to do it again here in New York /New Jersey…. What say you Pring? Have fun with the classes! You will do great! YOu bet! One of these days Mellinggay! I did private sessions as well in manhattan for 2 ladies =D we had a blast. the produce was amazing! 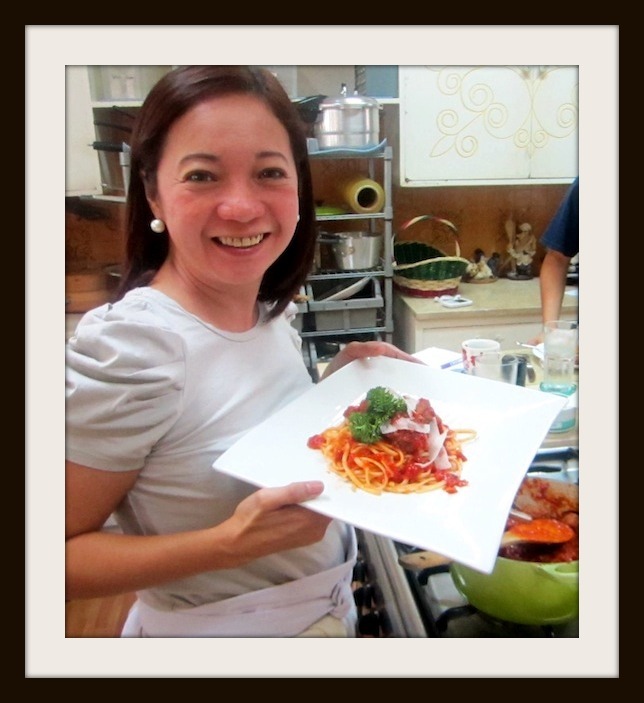 so sarap to cook there, I tell you! 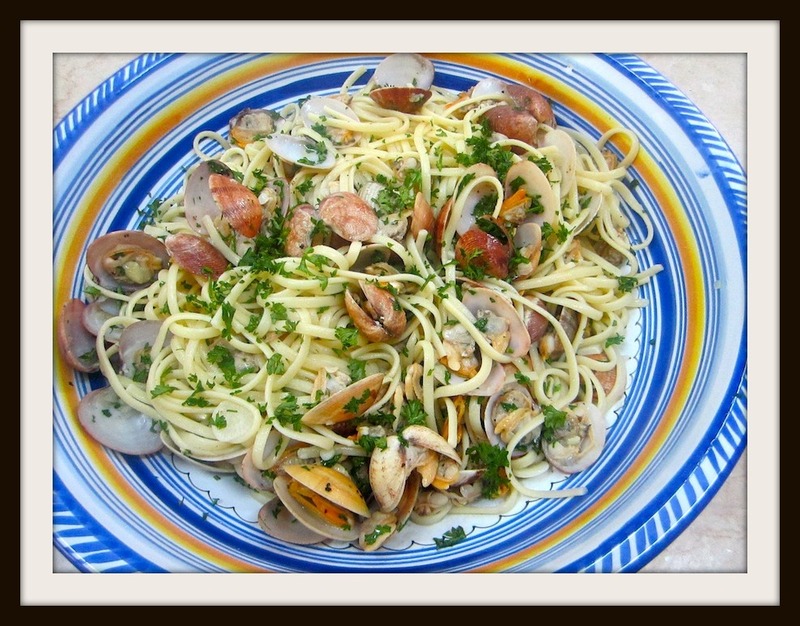 hi…im interested in private cooking class…how to contact you?? hello, do you still conduct the cooking classes? i’m interested to learn how to cook properly. Cool! What is the exact location of your kitchen classes, and what are the schedules? Also, may we request for your rates? Does it have to be a group of 6, or can it be a group of 4? Hi!! im interested in your cooking lesson. My problem is my schedule, i worrk in alabang area up to 6pm & live in makati area. Asking if you have classes at 8pm onwards. HI,,, I’m interested in your cooking class . I think you do 1 on 1. 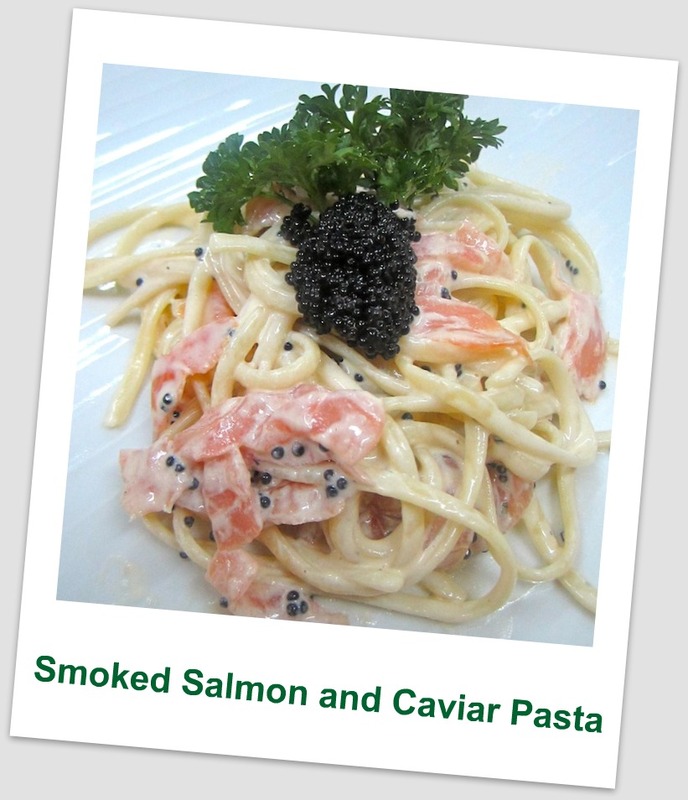 I live in Las Pinas and is convenient for me to have it in Ayala Alabang. Do you have morning classes?